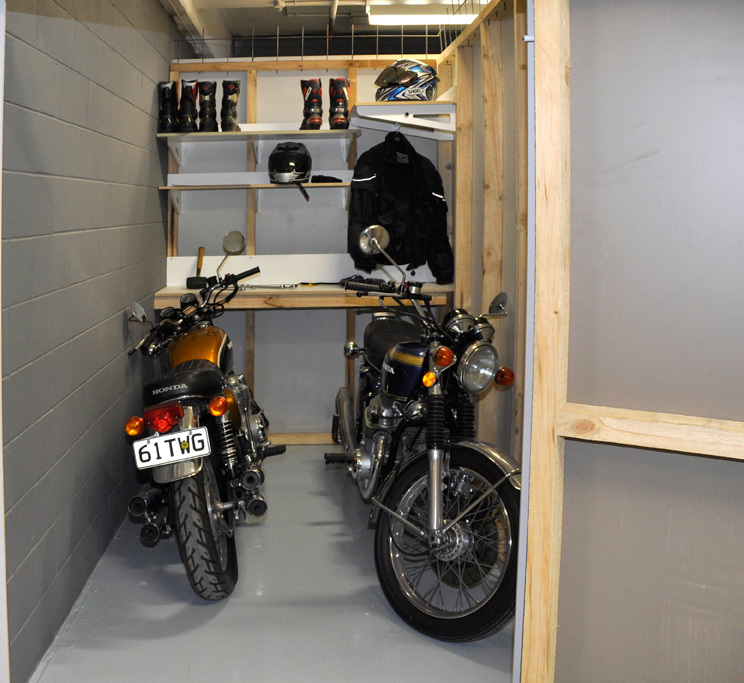 BikeVault is a secure motorcycle storage facility located close to central Auckland. It is housed in an underground bunker, where owners have a variety of space options available, depending on their requirements and budget. 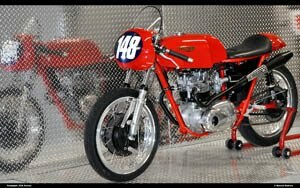 What are the benefits of keeping my motorcycle at the BikeVault? Safe environment - dehumidified, monitored sprinklers and smoke alarms, dust free. How do I inspect the facility? When can I move my bike in? Single or multiple bike storage in a safe, secure environment at a reasonable fee. 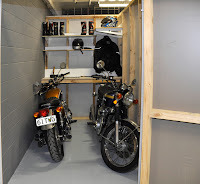 Includes a locker for riding gear storage. Ideal for one or two bikes with storage shelving for gear and equipment. Ideal for two or three bikes with storage shelving for gear and equipment with room for a storage locker. Work bench provided. 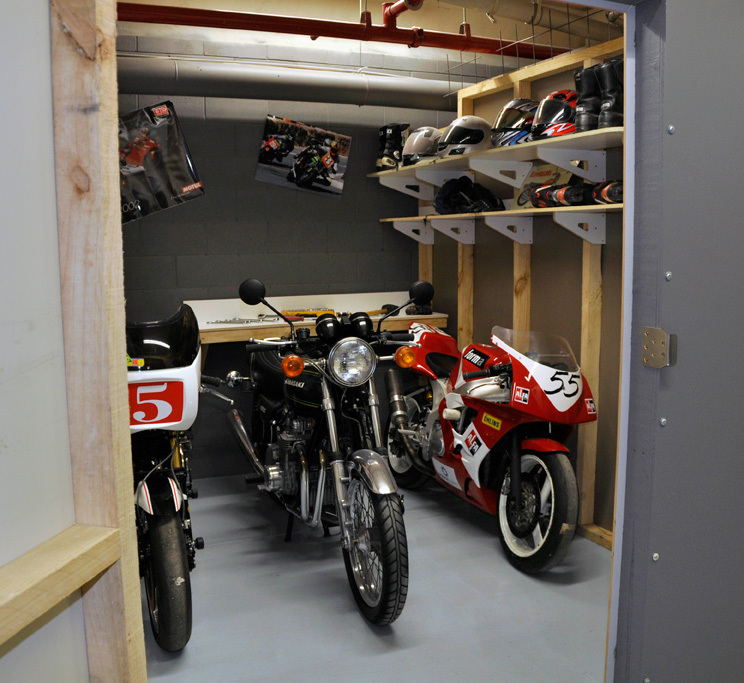 Storage for a small collection of bikes or suitable as a race team headquarters and workshop. Shelves and work bench provided. A few images of some of the treaures in BikeVault.